Split Airport is the host of Airport Management Professional Accreditation Programme (AMPAP), Gateway AMPAP, Air Transport System (ATS) Course Delivery. It is held in Hotel Park, Split, Croatia, from 10th to 14th April 2017. The lecturers are Mr. Jean Marc Trottier, Lead Instructor within the Global ACI-ICAO AMPAP Faculty, dr. Kostas Iatrou, the Managing Director of Air Transport News and VP Public Relations of Air Transport Research Society, and Ms. Diana Stancu, Aviation Law Specialist. 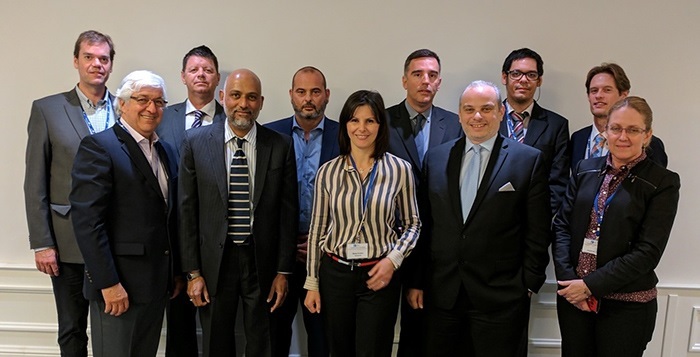 The course is attended by airport managers from USA, Canada, Netherlands, Croatia, and many other International Civil Aviation Organisation (ICAO) member states. The program is very interesting. It integrates new knowledges and experiences, all in accordance with ICAO legislation, regulations and obligations stated and accepted all over the world. Summer season 2017 flight schedule can be downloaded here. Flight schedules are subject to change. Split Airport regularly updates these data, but it may not guarantee the complete accuracy of information. Split Airport hereby refuses any responsibility for loss or damage caused by flight schedule errors or omissions. Split Airport, SPU (LDSP), is a Schedules Facilitated Airport (00:01h - 24:00 h ) for the summer season from 26 MAR17 until 28 OCT17. Summer season 2017 flight schedule is published on Split Airport website. Today, the Contract for Reconstruction and New Construction of Split Airport Passenger Terminal is signed at Split Airport. 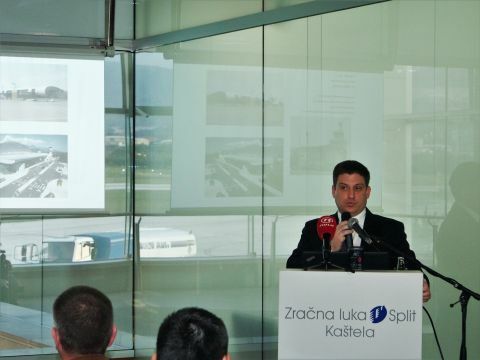 On behalf of Split Airport, the Contract is signed by Mr. Luksa Novak, General Manager, and on behalf of bidders’ association by Mr. Domagoj Kamenski, General Manager of Kamgrad. Mr. Oleg Butkovic, the Minister of the Sea, Transport and Infrastructure, as well as representatives of other co-owners, Mr. Zlatko Zevrnja, the prefect of Split-Dalmatia County, Mr. Ivan Udovicic, the mayor of Kastela, and Mr. Radovan Slade Silovic and Mr. Filip Andelic, deputy mayors of Trogir have attended the signing. Mr. Ivan Vulic, the chief project designer from VV Projekt, was also present. Contracted Price: According to Contractors' offer, the contracted price amounts to 346.652.849,89 HRK, excluding VAT, while the estimated purchase value amounted to 370.000.000.,00 HRK. 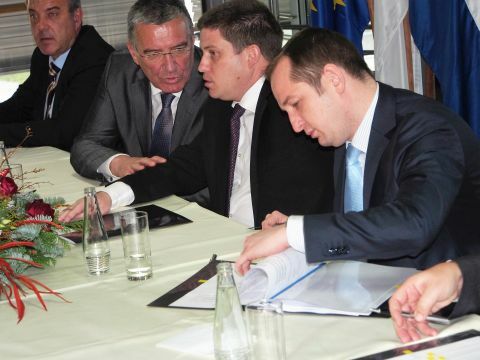 Contractor: The bidders’ association: Kamgrad d.o.o. (Ltd.), Zagreb; Viadukt d.d. (JSC), Zagreb; KFK TEHNIKA d.o.o. (Ltd.), Dugo Selo, Rugvica. Description of Works: Reconstruction and new construction of passenger terminal refers to the extension of three floors passenger building with a total of new 35.000 m2. That way, the capacity of the terminal will be increased to 2.500 passengers in peak hour, and the high quality of services will be ensured. New extension foresees: the vertical separation of arriving and departing passengers, the operative flexibility when introducing the Schengen regime, and the security control of checked baggage in accordance with proscribed European Union standards. Another novelty is the construction of new automated baggage sorting area. South of the public road, works also include new commercial parking area with the capacity of 900 parking spaces and with bus terminal. It will be directly linked with passenger terminal by passenger bridge over the state road. Strategic importance: Over two million passengers passed through Split Airport this year, what is significantly over its capacities. We expect total of 2.290.000 passengers until the end of December. The traffic reaches new records each year Every year, and the extending of the airport is necessary to avoid crowds in tourist season. The 17% growth of passenger traffic is realized in the first ten months. 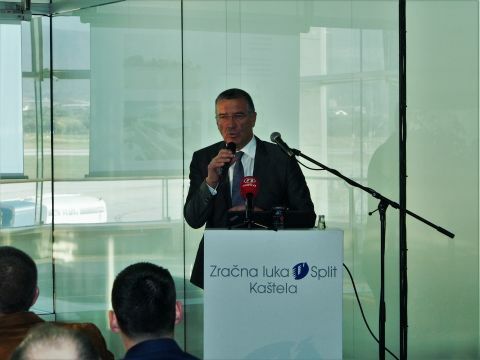 The project Works on Reconstruction and New Construction of Split Airport Passenger Terminal has a strategic importance for the whole County, and is of vital importance for Split Airport. The double-digit growth of passenger traffic in the past five years has set the great challenges in the use of existing infrastructure, particularly during peak loads. Considering planning of further passenger traffic increase, and to enable regular passenger and baggage flow, the preparation of year 2017 tourist season will be demanding regarding the use of human resources and the purchase of additional equipment. We expect over 2.500.000 passengers. It is worth mentioning that this is the most important business event that will surely mark the year 2017, and that this is the biggest investment of Split Airport in the past 20 years.